When I have a craving for Cuban buñuelos (often! 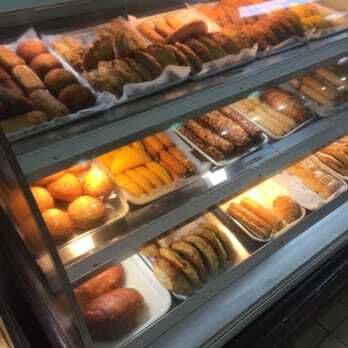 ), I go to my local Sedano’s in the Doral area in Miami and grab one of their Cuban buñuelos at their bakery and if I’m having the family coming over, I grab a box of Mabel’s Buñuelos Cubanos, which are sold frozen and are super delicious (and taste very authentic) to enjoy at home. 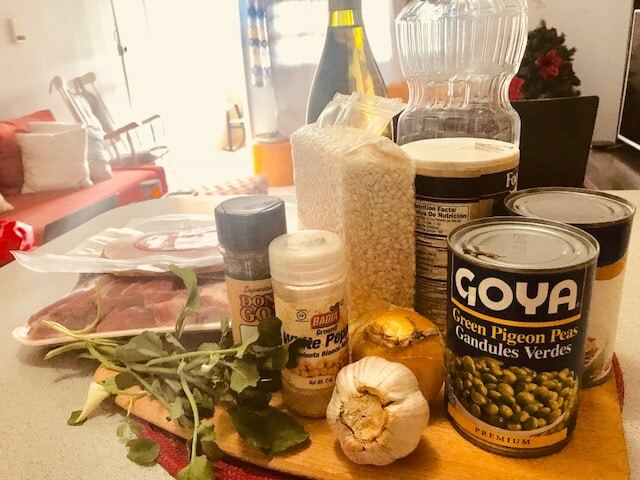 But when I crave my father’s cooking and is still not time to go to Puerto Rico for Christmas Eve, I think about carne frita and arroz con gandulez (fried pork with rice and green beans). 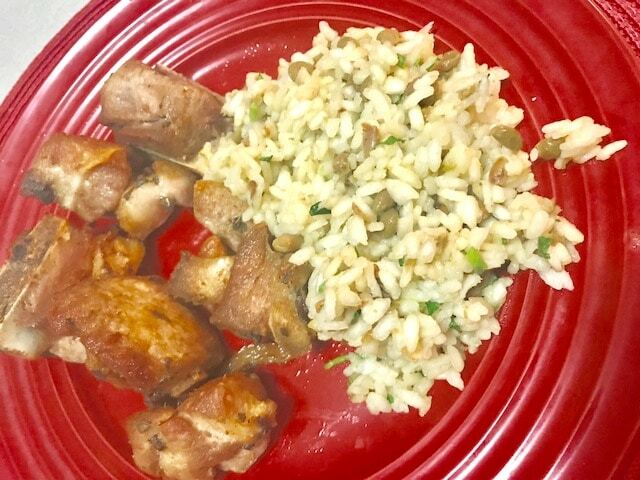 Because after 15+ years living in the USA, I have picked up some wordly cuisine dishes, I like mixing it up a little by replacing the arroz with risotto. Mmmmm, just writing it makes my mouth water! 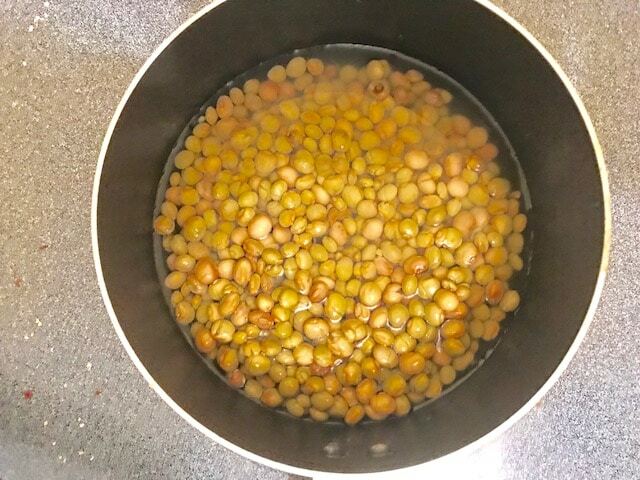 In a saucepan with olive oil, fry the onion and the rice for 2 minutes, then add the white wine and reduce in half and once the beans are soft, filter the broth and place it aside. 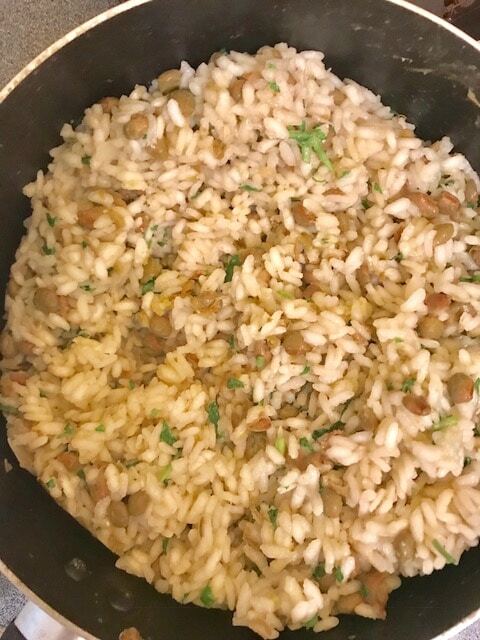 Start adding the broth for the beans little by little, adding enough broth for it to cover the rice and constantly move it until it evaporates. 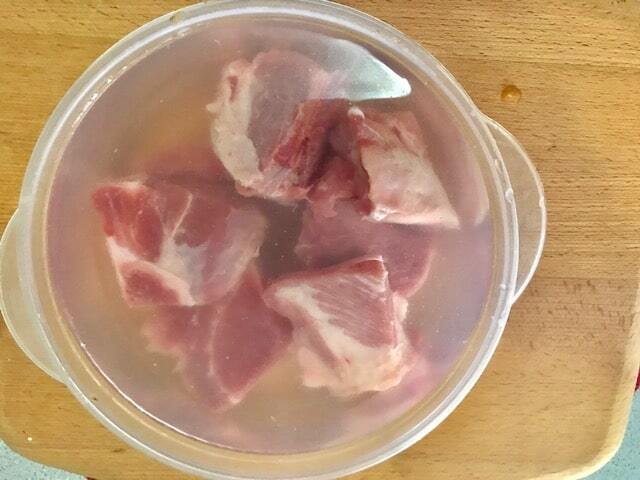 Soak the pork in water until it softens, then drain it and cut in 2 inch pieces. Clean the onions, cut them in half and then slice vertically into ½ inch rounds. 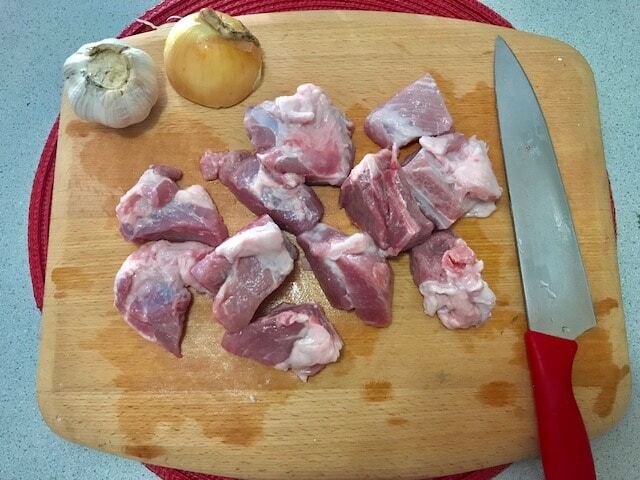 Rub the salt into the pork pieces, then add garlic, pepper and oregano. Cover in a container with lid and let it sit for at least 30 minutes. In a large saucepan in medium heat ½ cup of frying oil. 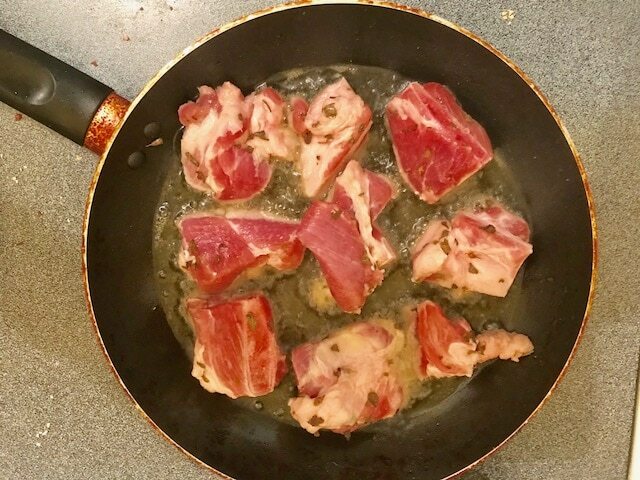 Add the pork pieces and stir them so they can get golden in all sides. Then remove from heat. Reduce the heat to medium and sate the onion until it softens. In a large pot in medium heat, warm the cooking oil to fry. Then add the pork pieces and fry until they are bully cooked and golden (approx. 15 minutes). Serve warm with onion on top. Easy right? The results are just yummy and your family will love it! So now grab your shopping list and get over to your nearest Sedano’s. Happy holiday cooking! 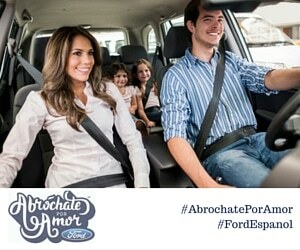 This entry was posted in Culture, For Mothers & Tias, Recipes and tagged recipes. Bookmark the permalink.